at North Hendon Shul which will comprise of a systematic textual study of the Mishnayos in the third Perek of Mesachta Succah. Sunday September 4th at 7.30 p.m and will continue for the next five Sundays at the same time. 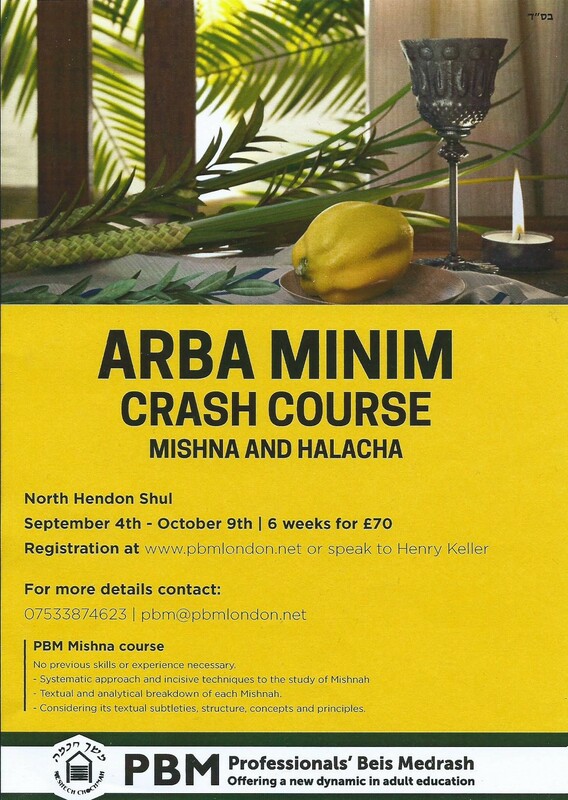 Please note there will be no charge for members of North Hendon Shul. Further information can be found on the notice board and on the table in the foyer.